Skynet 5 is the programme to update the UK's military satellite communications capability for the British Ministry of Defence. The Skynet 5 system will provide the next generation of secure global military satellite communications system, initially through the transfer of ownership, operation and enhancement of the existing Skynet 4 infrastructure and then by incorporating new Skynet 5 satellites and associated ground segment from the middle of this decade. The programme will be delivered in the form of a service provision contract. Under contract to Paradigm Secure Communications, selected in February 2002 as preferred bidder for the Skynet 5 secure global military satellite communications programme, Astrium is responsible for the replacement of the existing Skynet 4 ground and space assets (for which the company is prime contractor) by a new, integrated Skynet 5 system. Astrium has supported the Skynet 5 programme from its outset, including various concept studies carried out over the past five years. 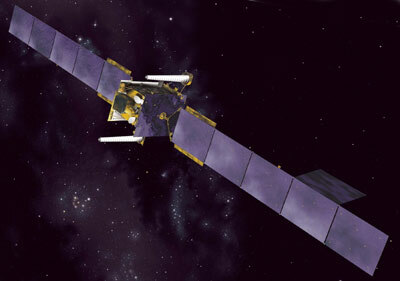 The contract for two satellites was awarded in October 2003. In December 2005 Paradigm decided not to insure the first two satellites, but to procure a third one as a spare, as well as a option to a fourth satellite.